The article below was a small section of my book, AIDS INC., which I wrote in 1987-8. At the time, I decided to take a look at vaccines and see what I could find out about them. My ensuing research led me into all sorts of surprising areas. “In a recent British outbreak of whooping cough, for example, even fully immunized children contracted the disease in fairly large numbers; and the rates of serious complications and death were reduced only slightly. In another recent outbreak of pertussis, 46 of the 85 fully immunized children studied eventually contracted the disease. “In 1977, 34 new cases of measles were reported on the campus of UCLA, in a population that was supposedly 91% immune, according to careful serological testing. Another 20 cases of measles were reported in the Pecos, New Mexico, area within a period of a few months in 1981, and 75% of them had been fully immunized, some of them quite recently. A survey of sixth-graders in a well-immunized urban community revealed that about 15% of this age group are still susceptible to rubella, a figure essentially identical with that of the pre-vaccine era.” Richard Moskowitz, MD, The Case Against Immunizations, 1983, American Institute of Homeopathy. “Of all reported whooping cough cases between 1979 and 1984 in children over 7 months of age – that is, old enough to have received the primary course of the DPT shots (diphtheria, pertussis, tetanus) – 41% occurred in children who had received three or more shots and 22% in children who had one or two immunizations. “… Based on the only U.S. findings on adverse DPT reactions, an FDA-financed study at the University of California, Los Angeles, one out of every 350 children will have a convulsion; one in 180 children will experience high-pitched screaming; and one in 66 will have a fever of 105 degrees or more.” Jennifer Hyman, Democrat and Chronicle, Rochester, New York, special supplement on DPT, dated April, 1987. “A study undertaken in 1979 at the University of California, Los Angeles, under the sponsorship of the Food and Drug Administration, and which has been confirmed by other studies, indicates that in the U.S.A. approximately 1,000 infants die annually as a direct result of DPT vaccinations, and these are classified as SIDS (Sudden Infant Death Syndrome) deaths. These represent about 10 to 15% of the total number of SIDS deaths occurring annually in the U.S.A. (between 8,000 and 10,000 depending on which statistics are used).” Leon Chaitow, Vaccination and Immunization, CW Daniel Company Limited, Saffron Walden, Essex, England, 1987. “While 70-80% of British children were immunized against pertussis in 1970-71, the rate is now 39%. The committee predicts that the next pertussis epidemic will probably turn out to be more severe than the one in 1974/75. However, they do not explain why, in 1970/71, there were more than 33,000 cases of pertussis with 41 fatal cases among the very well immunized British child population; whereas in 1974/75, with a declining rate of vaccination, a pertussis epidemic caused only 25,000 cases with 25 fatalities.” Wolfgang Ehrengut, Lancet, Feb. 18, 1978, p. 370. “Publications by the World Health Organization show that diphtheria is steadily declining in most European countries, including those in which there has been no immunization. 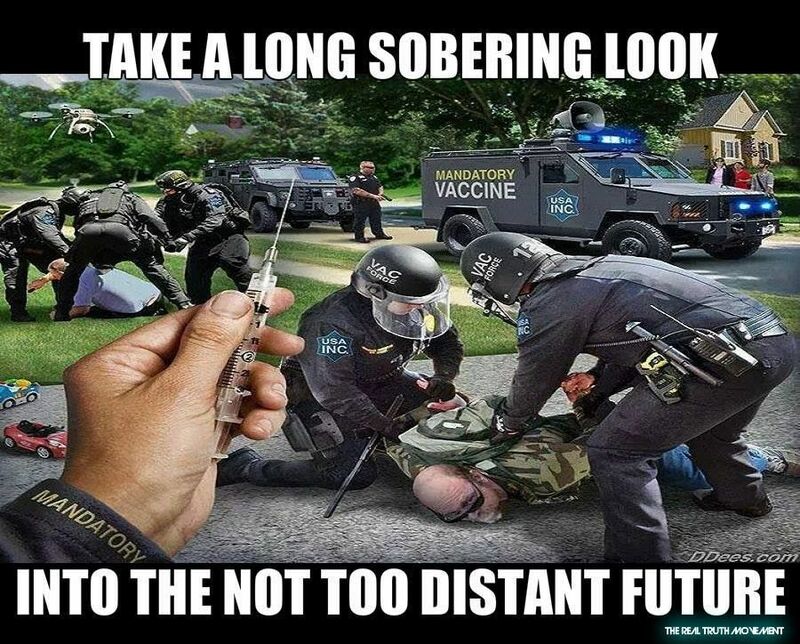 The decline began long before vaccination was developed. There is certainly no guarantee that vaccination will protect a child against the disease; in fact, over 30,000 cases of diphtheria have been recorded in the United Kingdom in fully immunized children.” Leon Chaitow, Vaccination and Immunization, p. 58. “Pertussis (whooping cough) immunization is controversial, as the side effects have received a great deal of publicity. The counter claim is that the effectiveness and protection offered by the procedure far outweigh the possible ill effects… annual deaths, per million children, from this disease over the period from 1900 to the mid-nineteen seventies, shows that from a high point of just under 900 deaths per million children (under age 15) in 1905, the decline has been consistent and dramatic. There had been a lowering of mortality rates of approximately 80% by the time immunization was introduced on a mass scale, in the mid-nineteen fifties. The decline has continued, albeit at a slower rate, ever since. No credit can be given to vaccination for the major part of the decline since it was not in use.” Chaitow, Vaccination and Immunization, p. 63. “Despite (cases) in which (smallpox) vaccination plainly failed to protect the population, and despite the rampant side-effects of the methods, the proponents of vaccination continued their attempts to justify the methods by claims that the disease had declined in Europe as a whole during the period of its compulsory use. If the decline could be correlated with the use of the vaccination, then all else could be set aside, and the advantage between its current low incidence could be shown to outweigh the periodic failures of the method, and to favour the continued use of vaccination. However, the credit for the decline in the incidence of smallpox could not be given to vaccination. The fact is that its incidence declined in all parts of Europe, whether or not vaccination was employed.” Chaitow, Vaccination and Immunization, pp. 6-7. “In this incident (Kyoto, Japan, 1948) – the most serious of its kind – a toxic (vaccine) batch of alum-precipitated toxoid (APT) was responsible for illness in over 600 infants and for no fewer than 68 deaths. “On 20 and 22 October, 1948, a large number of babies and children in the city of Kyoto received their first injection of APT. On the 4th and 5th of November, 15,561 babies and children aged some months to 13 years received their second dose. One to two days later, 606 of those who had been injected fell ill. Of these, 9 died of acute diphtheritic paralysis in seven to fourteen days, and 59 of late paralysis mainly in four to seven weeks.” Sir Graham Wilson, Hazards of Immunization, Athone Press, University of London, 1967. “Accidents may, however, follow the use of this so-called killed (rabies) vaccine owing to inadequate processing. A very serious occurrence of this sort occurred at Fortaleza, Ceara, Brazil, in 1960. No fewer than 18 out of 66 persons vaccinated with Fermi’s carbolized (rabies) vaccine suffered from encephalomyelitis and every one of the eighteen died.” Sir Graham Wilson, Hazards of Immunization. “At a press conference in Washington on 24 July, 1942, the Secretary of War reported that 28,585 cases of jaundice had been observed in the (American) Army between 1 January and 4 July after yellow fever vaccination, and of these 62 proved fatal.” Sir Graham Wilson, Hazards of Immunization. “The world’s biggest trial (conducted in south India) to assess the value of BCG tuberculosis vaccine has made the startling revelation that the vaccine ‘does not give any protection against bacillary forms of tuberculosis.’ The study said to be ‘most exhaustive and meticulous,’ was launched in 1968 by the Indian Council of Medical Research (ICMR) with assistance from the World Health Organization (WHO) and the U.S. Centers for Disease Control in Atlanta, Georgia. “The incidence of new cases among the BCG vaccinated group was slightly (but statistically insignificantly) higher than in the control group, a finding that led to the conclusion that BCG’s protective effect ‘was zero.’” New Scientist, November 15, 1979, as quoted by Hans Ruesch in Naked Empress, Civis Publishers, Switzerland, 1982. “We conducted a randomized double-blind placebo-controlled trial to test the efficacy of the 14-valent pneumococcal capsular polysaccharide vaccine in 2295 high-risk patients… Seventy-one episodes of proved or probable pneumococcal pneumonia or bronchitis occurred among 63 of the patients (27 placebo recipients and 36 vaccine recipients)… We were unable to demonstrate any efficacy of the pneumococcal vaccine in preventing pneumonia or bronchitis in this population.” New England Journal of Medicine, November 20, 1986, p. 1318, Michael Simberkoff et al. “But already before Salk developed his vaccine, polio had been constantly regressing; the 39 cases out of every 100,000 inhabitants registered in 1942 had gradually diminished from year to year until they were reduced to only 15 cases in 1952… according to M. Beddow Baylay, the English surgeon and medical historian.” Slaughter of the Innocent, Hans Reusch, Civitas Publishers, Switzerland, and Swain, New York, 1983. “Many published stories and reports have stated, implied and otherwise led professional people and the public to believe that the sharp reduction of cases (and of deaths) from poliomyelitis in 1955 as compared to 1954 is attributable to the Salk vaccine… That it is a misconception follows from these considerations. The number of children inoculated has been too small to account for the decrease. The sharp decrease was apparent before the inoculations began or could take effect and was of the same order as the decrease following the immediate post-inoculation period.” Dr. Herbert Ratner, Child and Family, vol. 20, no. 1, 1987. “The live (Sabin) poliovirus vaccine has been the predominant cause of domestically arising cases of paralytic poliomyelitis in the United States since 1972. To avoid the occurrence of such cases, it would be necessary to discontinue the routine use of live poliovirus vaccine.” Jonas Salk, Science, March 4, 1977, p. 845. “By the (U.S.) government’s own admission, there has been a 41% failure rate in persons who were previously vaccinated against the (measles) virus.” Dr. Anthony Morris, John Chriss, BG Young, “Occurrence of Measles in Previously Vaccinated Individuals,” 1979; presented at a meeting of the American Society for Microbiology at Fort Detrick, Maryland, April 27, 1979. “Prior to the time doctors began giving rubella (German measles) vaccinations, an estimated 85% of adults were naturally immune to the disease (for life). Because of immunization, the vast majority of women never acquire natural immunity (or lifetime protection).” Dr. Robert Mendelsohn, Let’s Live, December 1983, as quoted by Carolyn Reuben in the LA WEEKLY, June 28, 1985. The above quotes reflect only a mere fraction of an available literature which shows there is a need for an extensive review of vaccination. It is certain that undisclosed, unlooked for illness occurs as a result of vaccines, or as a result of infection after protective immunity should have been conferred but wasn’t. A certain amount of this sort of illness is immunosuppressive in the widest sense, and some in a narrower sense (depression of T-cell numbers, etc.). When looking for unusual illness and immune depression, vaccines are one of those areas which remain partially hidden from investigation. That is a mistake. It is not adequate to say, “Vaccines are simple; they stimulate the immune system and confer immunity against specific germ agents.” That is the glossy presentation. What vaccines often do is something else. They engage some aspect of the body’s immune-response, but to what effect over the long term? Why, for example, do children who have measles vaccine develop a susceptibility to another more severe, atypical measles? Is that virulent form of the disease the result of reactivation of the virus in the vaccine? Official reports on vaccine reactions are often at odds with unofficial estimates because of the method of analysis used. If vaccine-reaction is defined as a small set of possible effects experienced within 72 hours of an inoculation, then figures will be smaller. But doctors like G.T. Stewart, of the University of Glasgow, have found through meticulous investigation, including visits to hospitals and interviews with parents of vaccinated children, that reactions as severe as brain-damage (e.g., from the DPT vaccine) can be overlooked, go unreported and can be assumed mistakenly to have come from other causes.